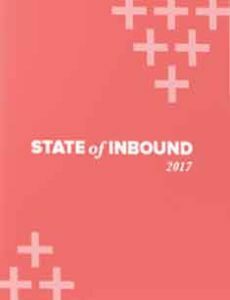 start the year off right to ensure your efforts yield favorable results like increased traffic, qualified leads, more sales, and loyal customers? 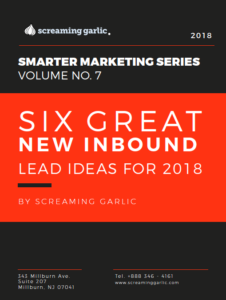 The good news is that inbound marketing can be broken down into core components and digestible bites that are proven to generating more readers for your content, boosting your online presence and winning you more customers. The following six steps will help guide you in developing a solid marketing plan for 2017 and give you the slight edge above the competition. 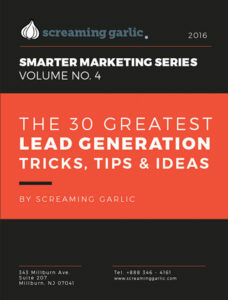 From creating irresistible offers to best practices for creating landing pages that convert, this eBook has some great recipes for how to go about getting more traffic and how to nurture that traffic to identify hot prospects and then convert them into customers. According to a Stanford University, study, 75% of people judge the credibility of a company based on the design sophistication of its website. Your B to B Customers are making purchasing decisions online. Even if your primary distribution channel is something other than an ecommerce presence, trust, reputation and peer reviews are all sourced on the web – starting with your site. Today, your company doesn’t just need a website, it needs a well-designed, easy to navigate, engaging presence that meets both the needs of your customers AND your business. Use this guide to see if it’s time to redesign and / or reconfigure your web presence. 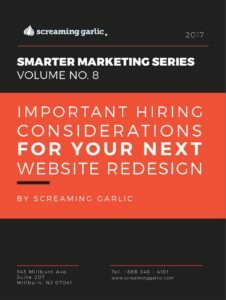 In a world where our website has become one of our most important sales tools, getting the right site that says the right thing and delivers the right image of you and your brand is not something for the faint of heart. Thinking of everything that needs to go into a website from SEO to URL Structures to Back Links, Responsiveness to Analytics never mind your messaging and visual identity, it’s no wonder your natural reaction may be to just procrastinate. In this document, we’ll take you through 3 possible paths to help you understand what is involved with a redesign decision, the pros and cons of those paths and might be right for your budget. While we can’t tell you what choice is best for your situation, you will be more aware of your options and better informed to make a choice of your own.